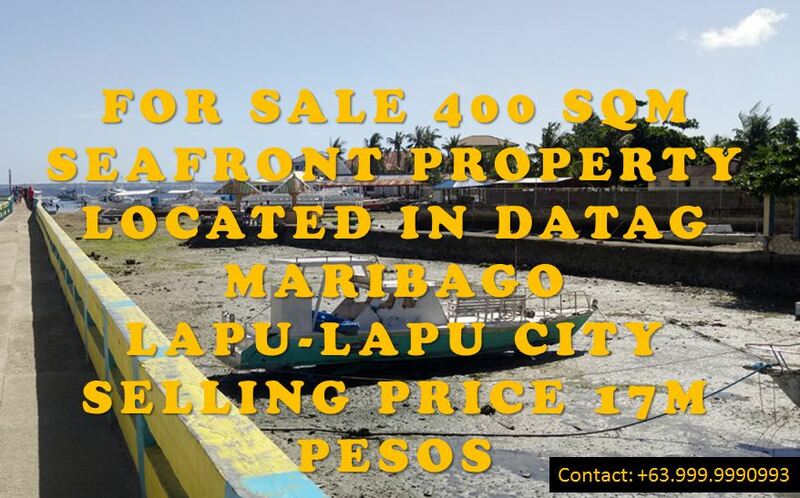 For sale 400 sqm sea front property 385 in Datag Maribago Lapu-Lapu City located in between J.Park Hotel and EGI Hotel. The property is a one storey house that was built on a 400 sqm clean titled lot directly facing the Hilutungan sea. Best use of the property is to build a multi-storey structure that can be rented as a dive shop/school, ferry boat terminal, drop off point for island hopping, etc. It has a road frontage of 17 meters and a sea frontage of 21.5 meter long.